I've uploaded a weekly meal plan that I use with my Instant Pot. 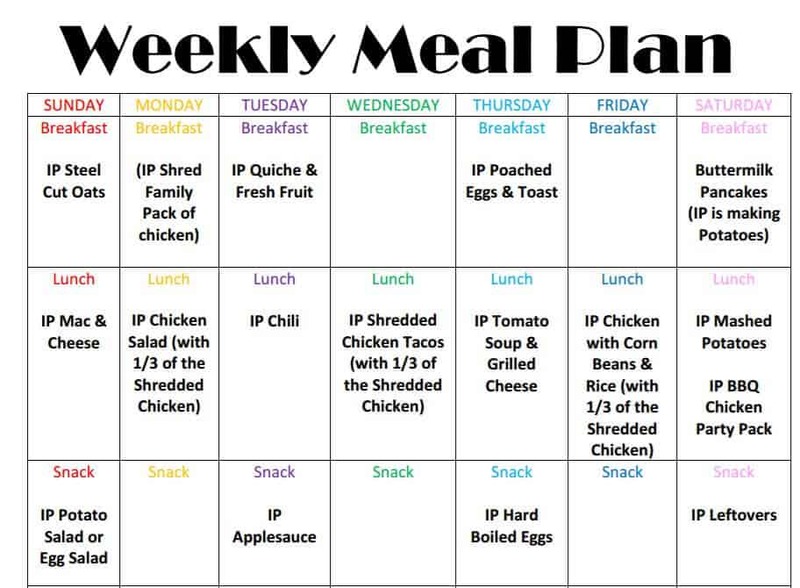 This uses the weekly meal template that I uploaded the other day. I absolutely love my Instant Pot and this gives my days and weeks some structure. There is a second week template that I'm also using which you can find here - Instant Pot Weekly Meal Plan - Week 2. These recipes are healthy and relatively easy/inexpensive to make. I like them because, as a homeschool mom who is always on the go, I can prepare these without much time. Things like desserts and snacks are obviously more of 'optional.' I attached a PDF and a Word document so that you can modify the PDF if you wish. PDFs are great for printables and sharing, but I know that some people will want to make modifications to my plan. An obvious disclaimer - I am not a health specialist, nutritionist, etc. so you should do your own research on healthy recipes, and so on. Make sure to leave some feedback if you're using this and liking it! I know several close friends have this copy, but I'm not sure what the internet at large thinks.